Today was one of those great days. One of those days where something special happens out of the blue. It’s not scheduled. It’s not planned. But when it happens – it just makes you smile. 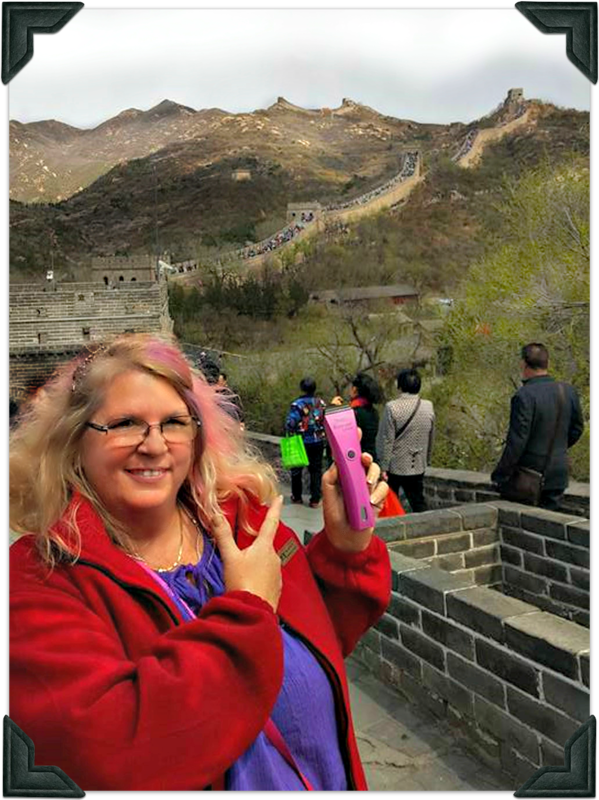 Dawn brought her Wahl to the Wall! What happened? It was a simple phone call. I was racing around trying to get through items on my to-do list. Every time I thought I was getting ahead, something would pop up and get added to the list. I felt like I was on a merry-go-round. It just would not stop. I knew it was going to be a real struggle to get to an appointment I had later in the afternoon. I looked down and saw who was. Dawn Omboy’s name appeared on the screen. That alone brought a smile to my face. I took a deep breath to get myself centered and then answered the phone, “Hello Dawn,” with a huge grin my face. She was calling for two reasons. 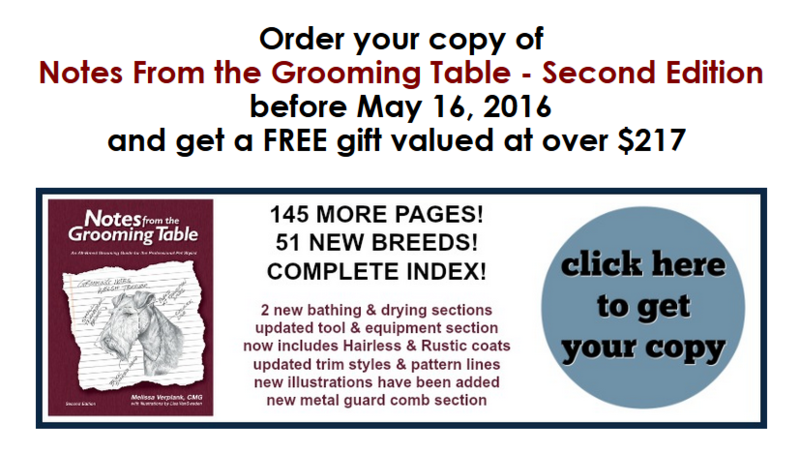 One was to thank me for her own personalized copy of Notes From the Grooming Table – Second Edition, which was on the way but had yet to arrive on her doorstep. The second reason took a little longer to explain, but Dawn promised I was gonna love the story. “Okay Dawn, you’re on,” I thought to myself even though I was pressed for time. My husband Marc and I had been at Dawn’s salon filming for Learn2GroomDogs.com just a couple of months ago. At the time, she had had the possibility of going to China to teach a clinic on creative pet grooming. Even though it wasn’t a sure thing yet, Dawn was so excited at the possibility! China. She’d never been there – let alone teach there! What an amazing opportunity for a little groomer out of southern Georgia. A few weeks later we learned that the trip was confirmed and she was leaving the following week! She was so excited and we were thrilled for her. We tracked the trip on Facebook along with so many of her Facebook friends. She looked to be having a wonderful time even though she was traveling solo. (That’s one gutsy move all itself!) She told me she had a blast! Everything was wonderful and the people were so nice even though no one spoke English other than her interpreter – and that was dicey. She still knew it would be an adventure of a lifetime she would cherish. That night she retired to her hotel room. As soon as she got there she hooked onto the Wi-Fi and brought up Learn2GroomDogs.com. Did we mention she was in China? She searched the database for German trims and found Judy Hudson had just what she needed on the site. She ordered herself a bit of dinner and spent the evening with Judy Hudson. Via streaming video, Judy taught Dawn the finer points of how to do a German trim on a Poodle. The next day Dawn was confidently able to demonstrate to her foreign classroom how to do a German trim on a Poodle – all because of Learn2GroomDogs.com and Judy Hudson. Dawn wanted to make sure I heard the story firsthand from her. I was beaming! I love our Training Partners and I love being able to help others. My dream is to make learning accessible to anybody – anywhere in the world. Between my books and Learn2GroomDogs.com – that dream is coming true. Even as far away as China! 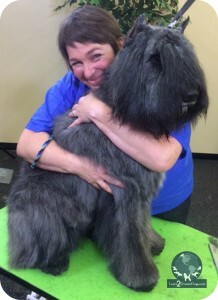 And the best part – Judy Hudson flies in tomorrow for a National Dog Groomers Association of America workshop and testing held at the Paragon School a Pet Grooming (and some special saddle time with a couple Friesians). I can’t wait to relay this story to her, personally. I cannot thank Dawn enough for sharing such a unique story. It’s amazing what our industry has to offer to anyone who applies themselves. The key is to be the best you can be and share that knowledge with others. Even if you don’t have the education in your head – having the right resources on the fly to locate information will turn you into an instant expert wherever you are. You never know when you’ll need to be an instant expert! 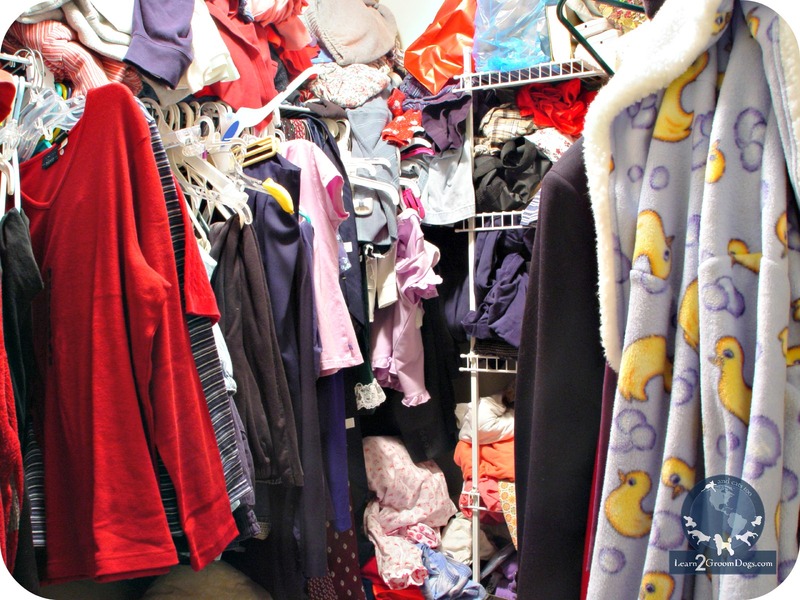 Has this ever happened to you? Go online and tell us about it on the Learn2GroomDogs Facebook page. I talk to people in and outside of our industry every day and I am always looking to learn something from every conversation, not matter how short or long the conversation happens to be. Sometimes the conversation is very short, a simple phone call to check in with staff at the office or colleagues in the field, and sometimes the conversation are much more lengthy, which could include planning meetings or networking opportunities. All in all, everyone has something to say and there is always something to learn. Recently, I was speaking to someone on a plane about their business. We engaged in the standard reciprocal greeting when we found ourselves sitting next to one another and then proceeded to go to work on our laptops. After clicking away for about 30 minutes, I happened to pick up a vibe that the man I had said hello to just a little while ago is in some form of law enforcement or military, I wasn’t sure yet. So, being the social butterfly I am, I asked. Boy am I glad I did! It’s been over 35 years since that first time. I still remember standing in awe, watching a talented pet groomer give a dog a haircut. She handled her clippers with ease. The long fur fell away like a hot knife through butter. The end result was smooth and gorgeous. And she was fast – super fast. She made the whole process seems so simple. The first time I tried, I quickly discovered it was not simple. Those initial attempts were pretty pathetic. Saying my first efforts were rough and choppy would be polite. There were long tufts hanging out everywhere. I was frustrated beyond belief. I was determined to master the skill. After all, the groomer I had been watching proved it could be done. It was simple – I just had to focus and figure it out. It was May, 1996. Star pupil Jennifer Hecker was three days away from graduating from grooming school and I was still very much a hands-on Director of The Paragon School of Pet Grooming. I remember walking into the lobby during check-in. The front staff was just greeting a new client with a very large Bouvier des Flandres. I looked at the dog and immediately sensed something was off. The dog came in willingly enough, but its body language and eyes were telling me to be very, very careful with this dog. Once the owner was gone, I told the front staff to attach the dog to a wall tether. I sensed we could have a real problem if we tried to place that dog in a kennel. Being out on the practical skills floor where we could closely observe this dog without the housing restriction was much safer. I suggested that the instructors place a muzzle on the dog before they attempted to do any grooming, just in case. Because we didn’t see that many Bouvier’s at the Paragon Training Center, it was assigned to Jennifer, one of our most advanced students. At that time, Jennifer had shown Giant Schnauzers and had advanced one of them through the highest levels of French Ring Sport. She was not intimidated by the size or the potential attitude of this dog. Not 15 minutes into the class, someone raced into my office and told me I’d better get out to the practical skills floor – fast. Someone had been hurt. Seconds later, I was on the practical skills floor. The first thing I noticed was how empty and quiet the room was. The second was the blood trail. It led diagonally across the space towards the bathing room. There was a crowd of people around a small prep sink. 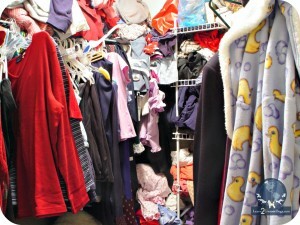 One person in particular was obviously in great distress – Jennifer. I got a glimpse of Jennifer’s hand. 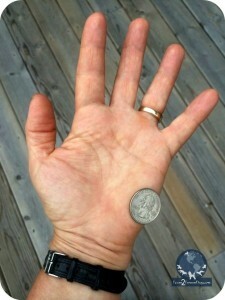 Place a quarter on the meatiest part of the heel of your hand. Now imagine that area… gone. We raced Jennifer to the medical treatment center. The local med-station felt that they could handle this wound despite the fact that she had lost sensation in her little finger – or maybe the pain was so great – she couldn’t be sure. They stitched her up, bandaged her, pumped her up with antibiotics, and sent her home. The following day she was she was back at the doctor, but this time to see a hand specialist. They ripped out all the stitches from the night before and started over. Jennifer was looking at a long recovery period. Jennifer had such a great attitude towards this whole thing – it was hard to believe. Even though she missed the last three days of class, she still graduated with very high grades. However, finding a grooming job was certainly out of the question for her – at least for a while. We ended up hiring Jennifer for our front office at Paragon while she healed. As Jennifer’s medical bills mounted, we collected everything and turned them into our insurance company. However, our carrier did not feel the situation warranted a payout on their behalf. That’s when we learned that in the state of Michigan a pet owner is ultimately responsible for their dog – even if they are not with it. The insurance company went after the pet owner. They were able to collect from their homeowner’s policy. That was news to me and served as a lesson to all of us. As the story unfolded, we got more information that was unnerving. My initial gut reaction was well-founded. This was the third reported bite case for this dog – and the third owner. Of course the owner never bothered to share that information with us upon check-in. The dog was destroyed after this third incident with Jennifer. We learned 5 lessons through this unfortunate event. Trust your gut. Never do a dog that you feel is dangerous to you, your team, or itself. Use muzzles when necessary and make sure they fit properly (we changed to full basket-style muzzles). The pet owner is ultimately responsible for their pet regardless of whether they are with them or not. In the state of Michigan, if the dog creates an insurance situation, the pet owner’s homeowner’s policy will be responsible for paying any damages or claims. Love and passion for dogs can still shine through despite severe injuries inflicted by them and long recovery periods. Jennifer has been grooming with us for over 18 years. I’m fortunate that she is still on my team. 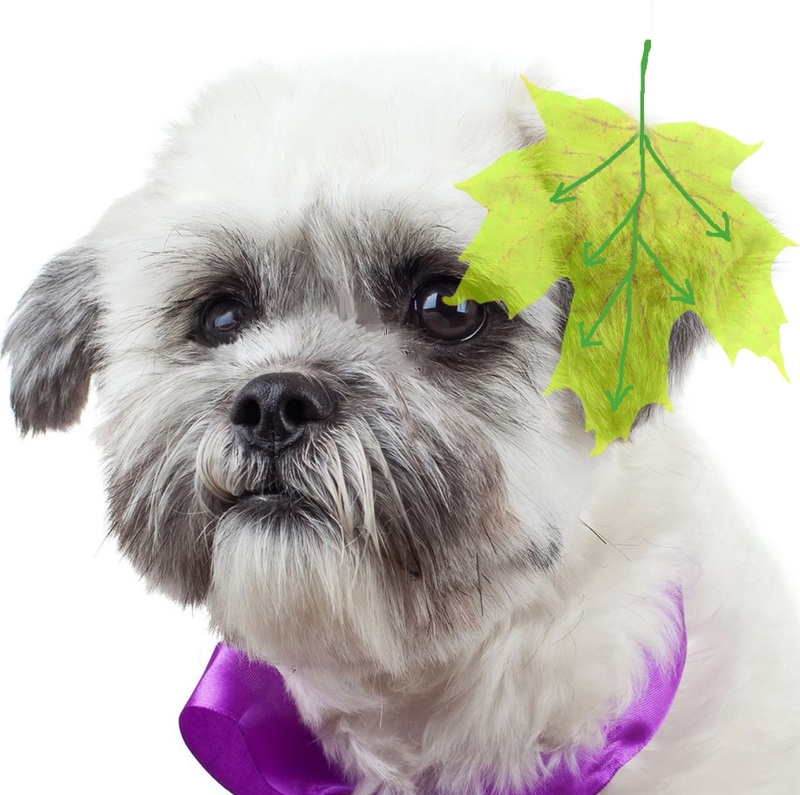 She has become one of our most talented and productive pet stylists. She grooms every day at our luxury kennel, Whiskers Resort & Pet Spa. 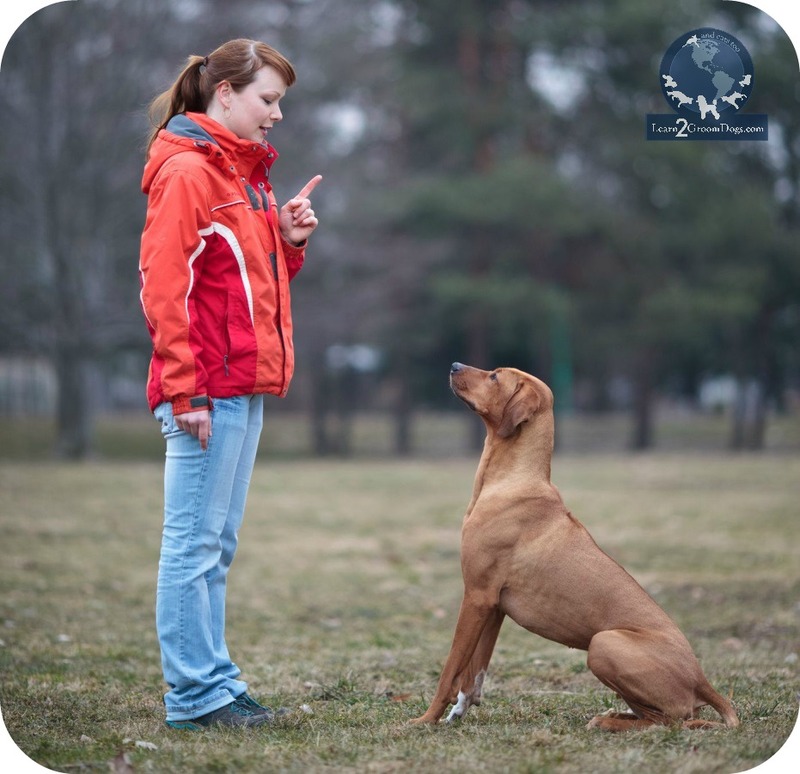 Plus, Jennifer has been one of our talented Training Partners on Learn2GroomDogs.com since the beginning. We just filmed her for Learn2GroomDogs.com. We had been looking for someone to do a traditional style grooming lesson on a Bouvier des Flandres for a very long time. Never in my wildest dreams did I ever expect Jennifer Hecker to step up to the grooming table for this lesson! I’m so glad she did. Her love and compassion for all dogs is clearly evident – even for the Bouvier des Flandres. Courtney Ramstack a compassionate stylist with a dynamic personality. She has a strong sense of quality with everything that she does. Courtney has trained over 150 grooming students. She takes great pride to make her shops fun and exciting places to work. We are proud to have Courtney as one of our Training Partners at Learn2GroomDogs.com. The first time I heard this idea explained by her, I thought she was brilliant! This vivid grooming tip comes from Courtney. This is her description of how to trim an ear short in her video lessons. Clipper trimming the ear on a dog can be a dangerous step in the grooming process if it is not done correctly. It is very easy to nick an ear with the clipper blade. The ear leather is thin. If you do not follow the correct direction of the coat growth, the ear leather can feed easily between the teeth of the blades. Courtney came up with a very clever way to describe how to clip an ear to minimize accidents. The visual clarity of her description makes it almost impossible for student to do it wrong. When she’s training new groomers this is how she talks them through the process. Think of the ear leather like a leaf. It has veins that you can clearly see running through the entire leaf. Think of the dog’s ear like a leaf. When trimming, a very close blade, like a #40, is typically used on the inside of the ear leather. The outside of the ear leather is typically left slightly longer. 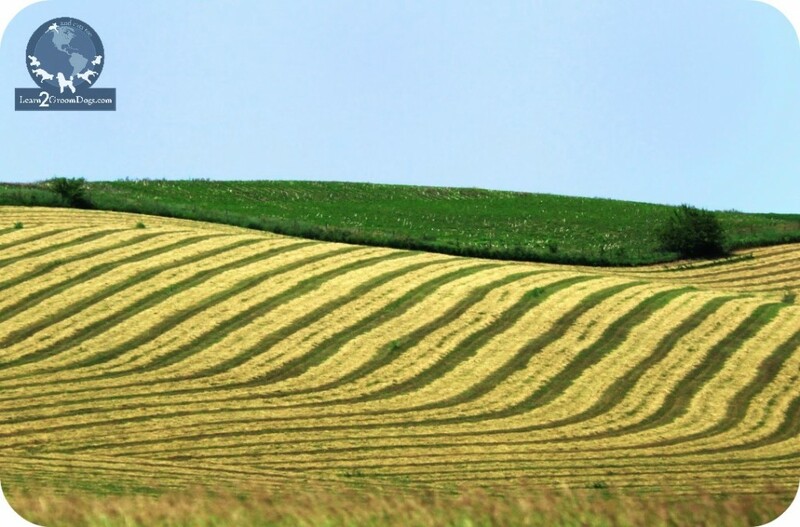 Blades can range from a #30 blade all the way up to longer guard combs. This technique works well with any blade length when a clipper is being used to style the ear. When you start clipping, lay the ear across your open fingers. Start clipping from the top of the ear at the center — where the stem would be. As you clip, keep the ear gently braced on your fingers. From that center point of the leaf, clip out towards the edges, following the veins just like on a leaf. Keep your fingers underneath the ear as you move the clipper towards the edges to brace it. This will keep the ear stable and the dog under control as the clipper removes the coat. On dogs with natural ears, there is a small skin flap on the inside of the ear leather. This delicate skin flap is typically found on the back side of the ear. When you flip the ear over and hold it in your hand, normally you can see it clearly. You need to be careful of the skin flap — it is very easy to catch it in teeth of your clipper blade. Typically, the closer of blade cuts, the less likely it is to catch that inside ear flap. For safety, always know where that skin flap is located. As long as you clip in the same direction as the veins of the leaf, your risk of injury to the ear leather is very minimal. As you clip — or instruct someone else — imagine following the veins of a beautiful leaf. It’s hard to do it wrong with Courtney’s clear visual image etched in your mind. 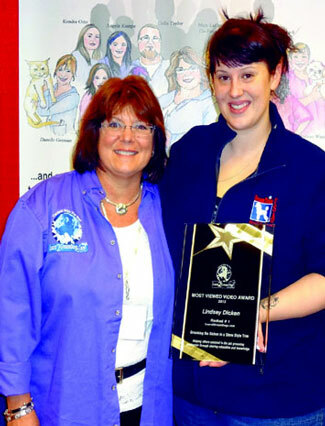 The winner of the Most Viewed Video of 2012, Lindsey Dicken, was presented her award at the Atlanta Pat Fair. The numbers have been crunched! We are thrilled to announce the Most Viewed Videos for 2012! These videos have helped thousands of groomers to learn more about their craft. Some of our members review breed specific videos before the client’s dog arrives. While others use them to help train for competition. Visit our Sneak Peek Video page for links to these and other grooming lessons in our video library! 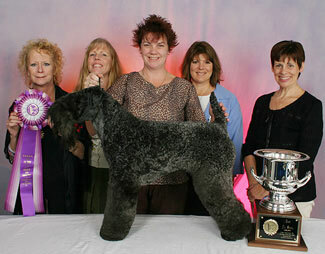 This week, we are releasing an incredible triple feature on Learn2GroomDogs.com focusing on the Kerry Blue Terrier. Your training partner is Cheryl Purcell. She will be reviewing the common mistakes that people make when they groom a Kerry Blue and how to avoid them. We are so happy to have Cheryl on our team of training partners. Cheryl Purcell started in the industry as a manager of a pet store. After a fire destroyed the retail section of the building, all that was left was the grooming salon. The owner wanted to continue grooming and the rest is history. After picking up the basics from their in-house groomer, Cheryl has had an impressive career. She has been on GroomTeam USA numerous times since her first competition in 1994. Cheryl can be seen here at the 2004 NDGAA Fun in the Sun where she won Best in Show. I am very proud to have Cheryl on our training partner team. She will continue to be a valuable asset to groomers who want to continue their education.